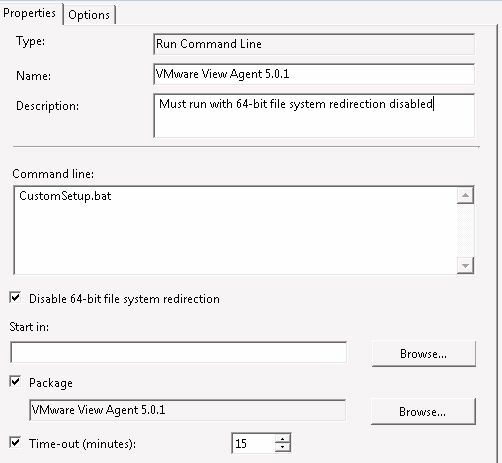 The VMware View agent is deployable as an MSI file and uses basic command line parameters. 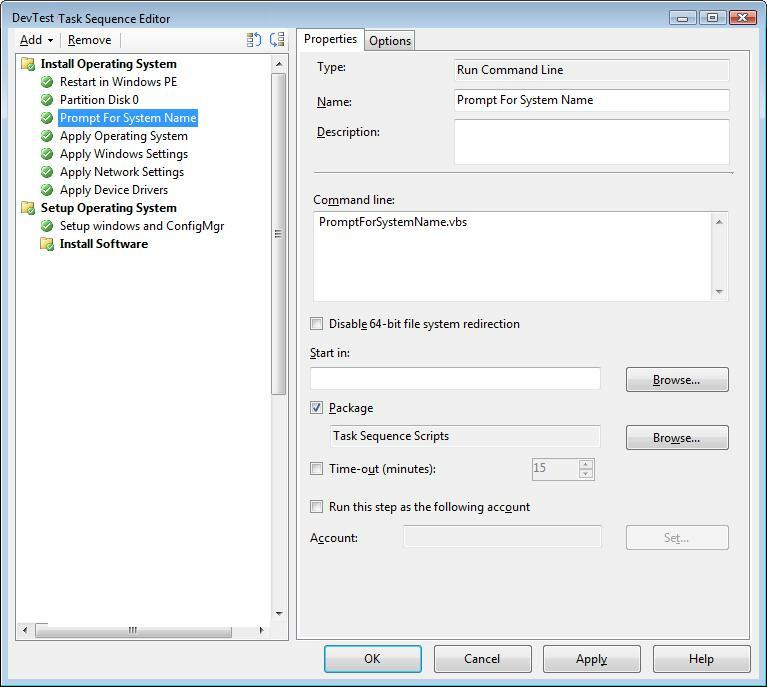 However, I recently had significant difficulties with getting it to install within a ConfigMgr Task Sequence as part of an OS image deployment. Despite that the agent could be installed manually using the parameters, in a TS the installer would fail (e.g. return a non-success exit code) and thus fail the TS. Through investigation, the agent’s install log file (located in %windir%\temp\) stated error 1603 and a message that if failed due to a detected pending restart. So in the TS, I added a pre-restart command prior to the install…..but that still did not solve the problem. Several various other solutions were attempted, but all to no avail. c:\windows\temp\VMware-viewagent-x86_64-5.0.1-640055.exe /s /v" /qn REBOOT=R"
However, this still wasn’t good enough to solve the problem! The .msi needed to be copied locally to execute AND this needed to be run with 64-bit redirection disabled. It was a mess to figure out and test, but I was able to eventually discover the right combination to have the agent automatically in a Task Sequence! This entry was posted in ConfigMgr 12, Scripting, Troubleshooting and tagged Batch Script. I’ve been trying to solve this exact problem for a week now and just found this post. You’ve given me some hope that I’ve found a solution. I’m updating my task sequence now and will report back. Thank you Nick Moseley! My updated task sequence worked like a charm. You might want to update the xcopy line in your script through, it seems that there are some special characters in the file name. Thanks again.